Liverpool have a new goalkeeper coach in Jack Robinson. The Englishman (who isn’t our former left-back!) had been part of the FA’s national set-up and previously worked for seven years at Manchester United, alongside Edwin van der Sar and David de Gea, among others. Robinson’s appointment was a decision by current goalkeeping coach John Achterberg, who wanted an understudy to teach the likes of Kai McKenzie-Lye, Caoimhin Kelleher and Kamil Grabara, while he focuses on first-team stoppers Alisson and Simon Mignolet, reports Paul Joyce in the Times. Liverpool fans have had a mixed reaction to the news, with many claiming it’s only a matter of time before Achterberg is shown the door and new first-team GK expert is installed. We’ve never really understood the hate he gets, to be honest. Jurgen Klopp literally sees what he does at Melwood every day, and we don’t, so if the boss thinks he’s up to scratch, that’s fine by us. Here’s some of the responses on Twitter, anyway! 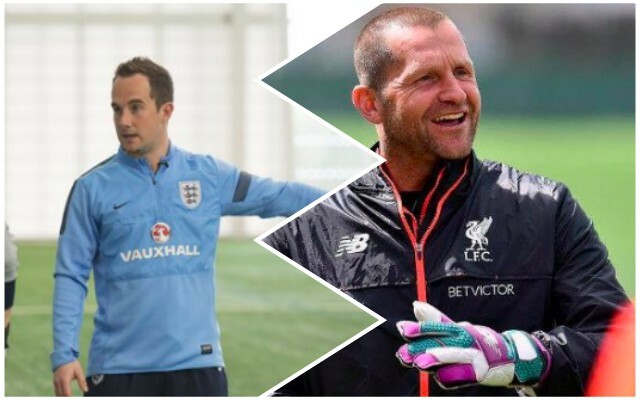 Liverpool have added goal keeping coach, Jack Robinson, to work alongside John Achterberg. FSG, Michael Edwards, and Jurgen Klopp are not messing about. Hiring a throw in coach a couple weeks ago and now hiring a second goalkeeping coach. Going all in to deliver trophies. Achterberg must have video of Klopp doing bad bad things. The club isn’t playing anymore, tidying up problem areas. With Jack Robinson coming as our newest goalkeeping coach i believe it wont be long until John Achterberg is out ….